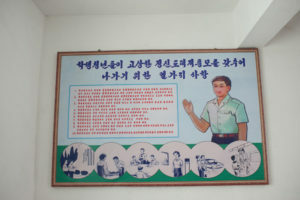 Some gifts, such as snacks or stationary, for the students could help break the ice. 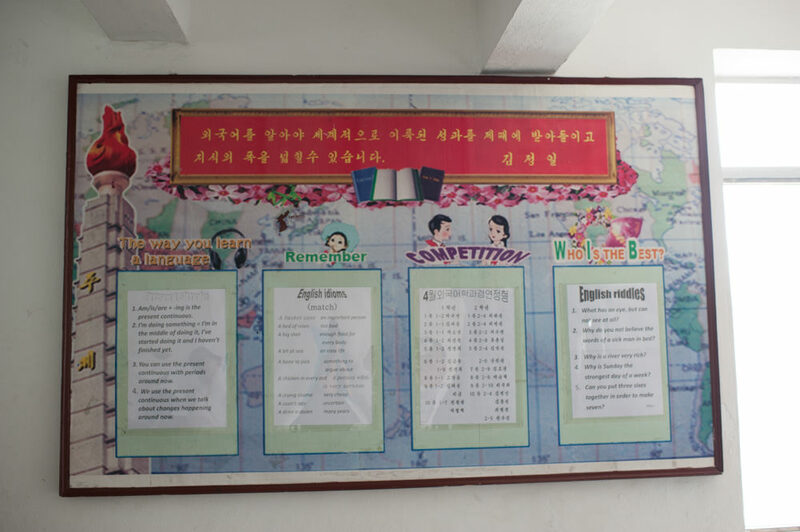 Also come prepared with some funny anecdotes about your country, jokes, or a simple game. 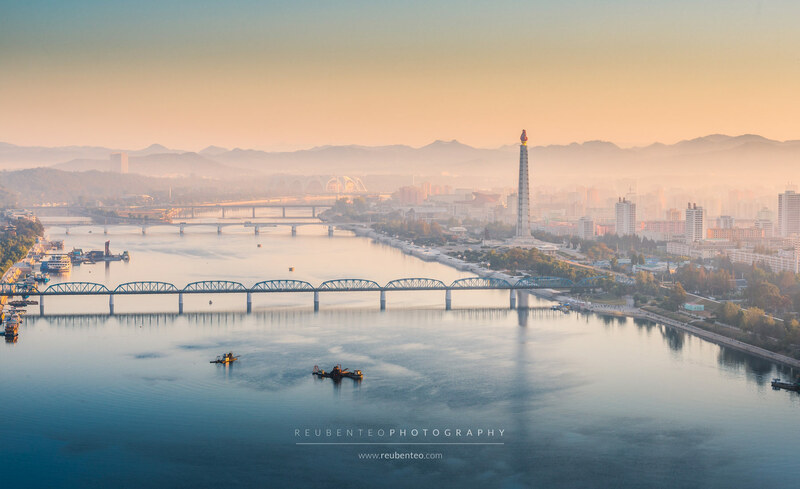 East Pyongyang No. 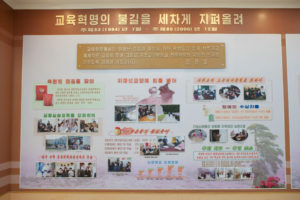 1 Middle School specialises in the training of future scientists. 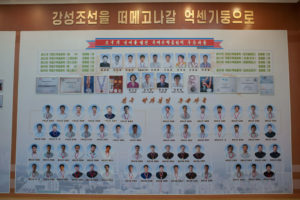 Its students have gone on to compete in the International Mathematics Olympiad and become top scholars. 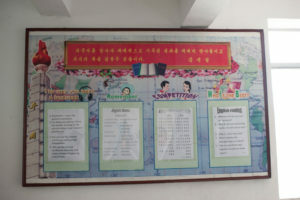 East Pyongyang No. 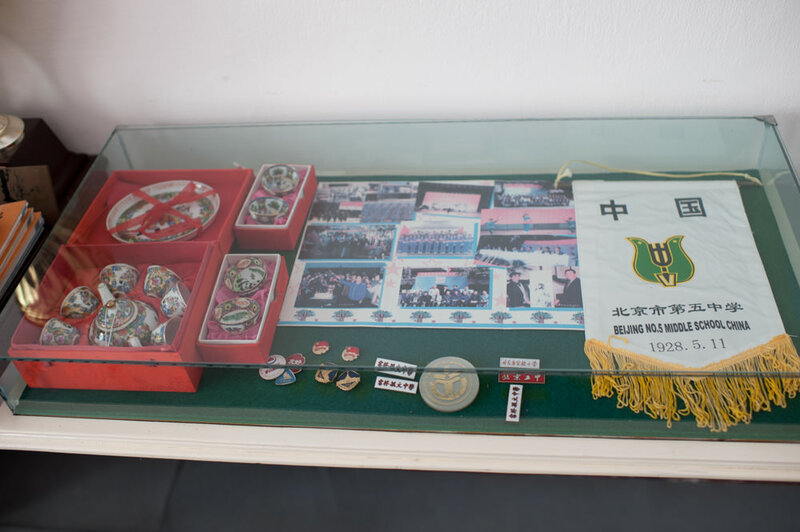 1 Middle School has a sister school relationship with Beijing City No. 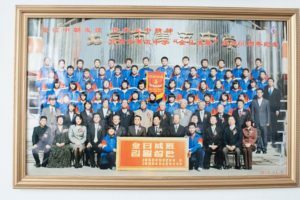 5 Middle School in China. 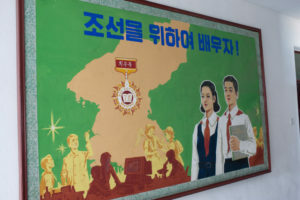 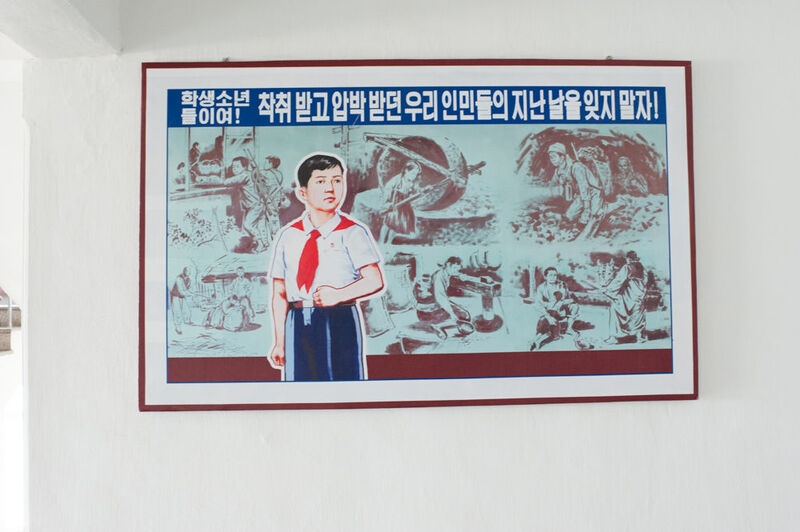 In the 1950s, a “Mao Zedong class” was set up in East Pyongyang No 1. 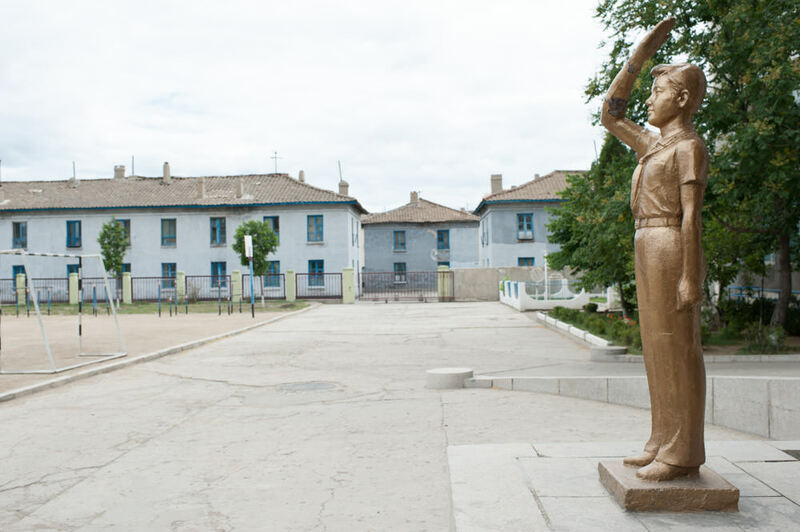 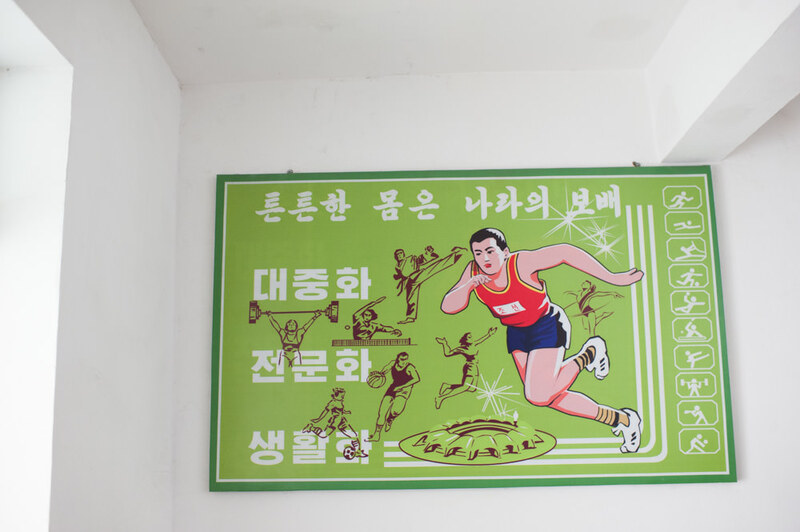 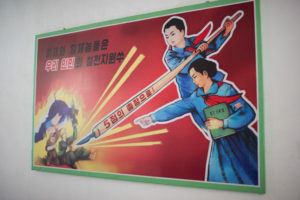 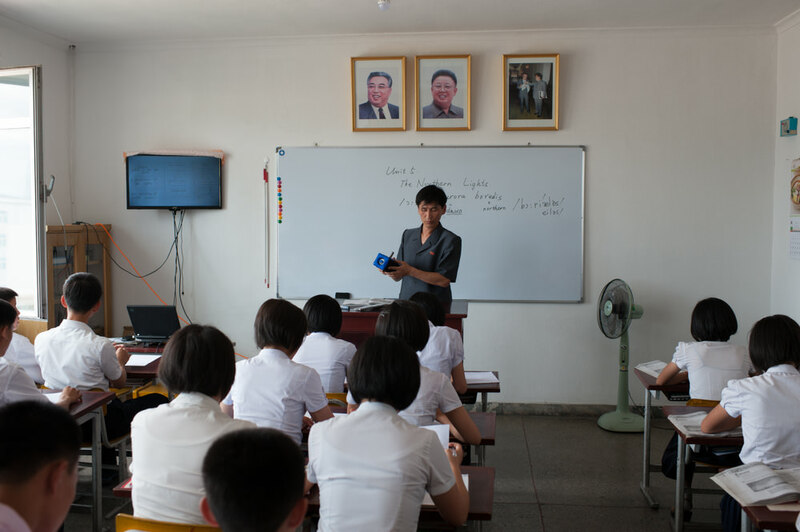 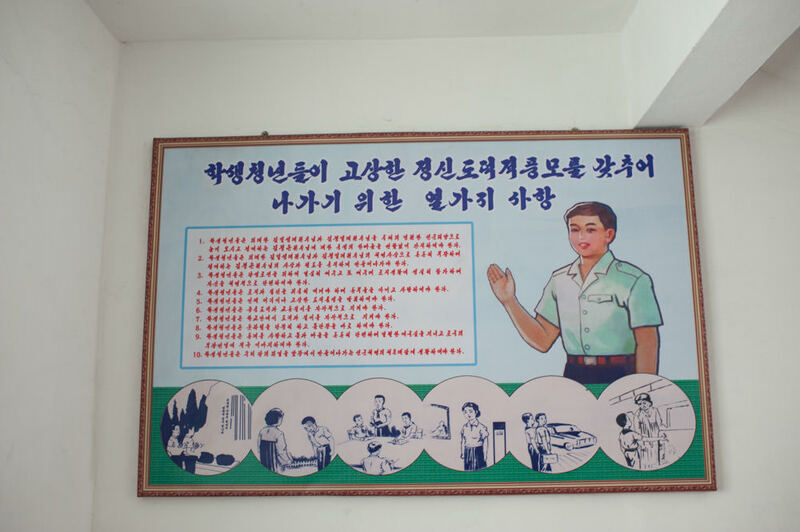 Middle School, and a “Kim Il Sung class” set up in Beijing City No. 5 Middle School to celebrate China-North Korea friendship. Memorabilia commemorating the sister school relationship between the two schools. 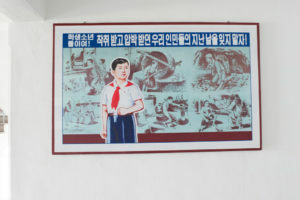 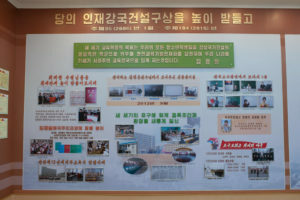 Photo of visiting East Pyongyang No. 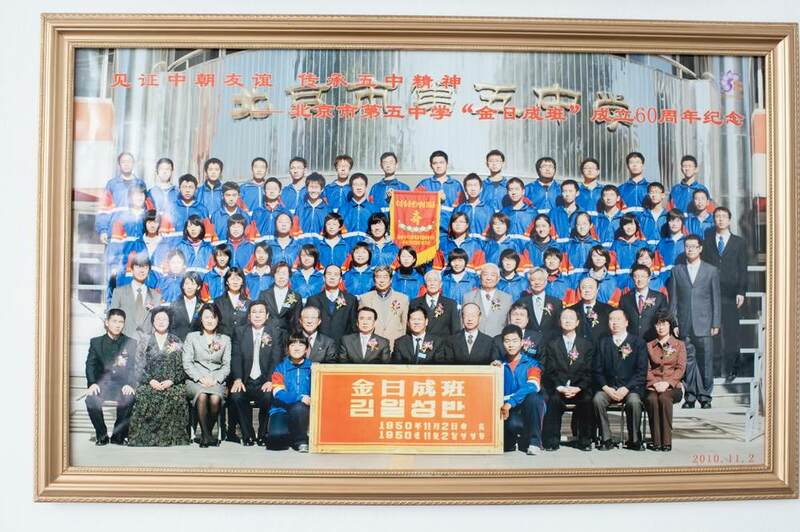 1 Middle School delegation with staff of Beijing City No. 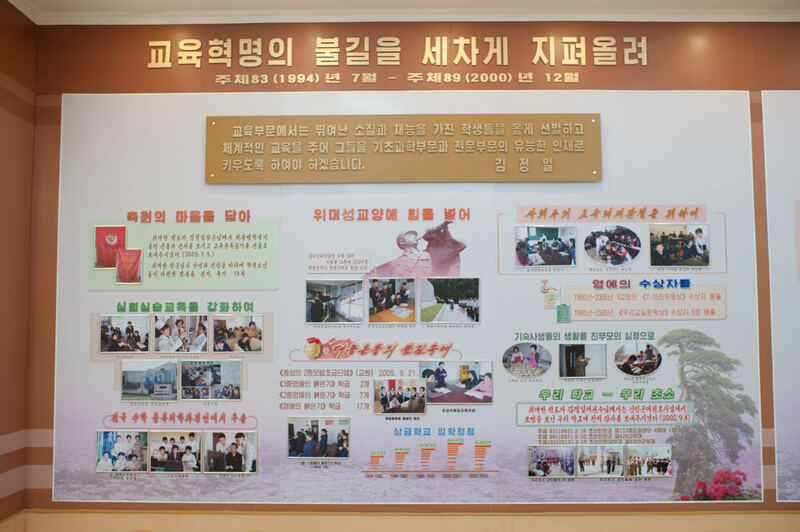 5 Middle School’s and students of its “Kim Il Sung Class”.